Professor Jodie McVernon is a physician with subspecialty qualifications in public health and vaccinology. She has extensive expertise in clinical vaccine trials, epidemiologic studies and mathematical modelling of infectious diseases, gained at the University of Oxford, Health Protection Agency London and The University of Melbourne. Her work focuses on the application of a range of cross-disciplinary methodological approaches including mathematical and computational models, to synthesise insights from basic biology, epidemiological data and sociological research. These models advance understanding of the observed epidemiology of infectious diseases and inform understanding of optimal interventions for disease control. She is Director of Epidemiology at the Peter Doherty Institute for Infection and Immunity, a joint venture of the University of Melbourne and Royal Melbourne Hospital, and a National Health and Medical Research Council (NHMRC) Principal Research Fellow. 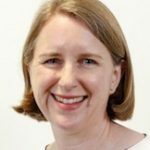 She leads the NHMRC-funded nationally distributed Centre of Research Excellence in Policy Relevant Infectious Diseases Simulation and Mathematical Modelling (www.prism.edu.au). Vaccine efficacy against Indonesian Highly Pathogenic Avian Influenza H5N1: systematic review and meta-analysis. Efficacy of a trivalent influenza vaccine against seasonal strains and against 2009 pandemic H1N1: A randomized, placebo-controlled trial. Fondation Merieux webcast 2015. Pertussis modeling: contributions of natural and vaccines immunity on the epidemiology. Immune responses to a recombinant, four-component, meningococcal serogroup B vaccine (4CMenB) in adolescents: a phase III, randomized, multicentre, lot-to-lot consistency study. Health Check: when are we most likely to catch viral diseases? Antibody persistence in Australian adolescents following meningococcal C conjugate vaccination.